Senator discusses CRR Fire Protection Act at recent hearing in Washington, D.C.
U.S. Sen. Ron Wyden, D-Oregon, spoke at a Washington, D.C., hearing on Crooked River Ranch, Aug. 22, saying that the Central Oregon wilderness area needs action urgently to reduce the devastating potential of wildfire. Wyden's concerns came as the Senate Energy and Natural Resources Committee was considering a House bill introduced by U.S. Rep. Greg Walden, R-Oregon, about the dangers posed by wildfires to Crooked River Ranch. 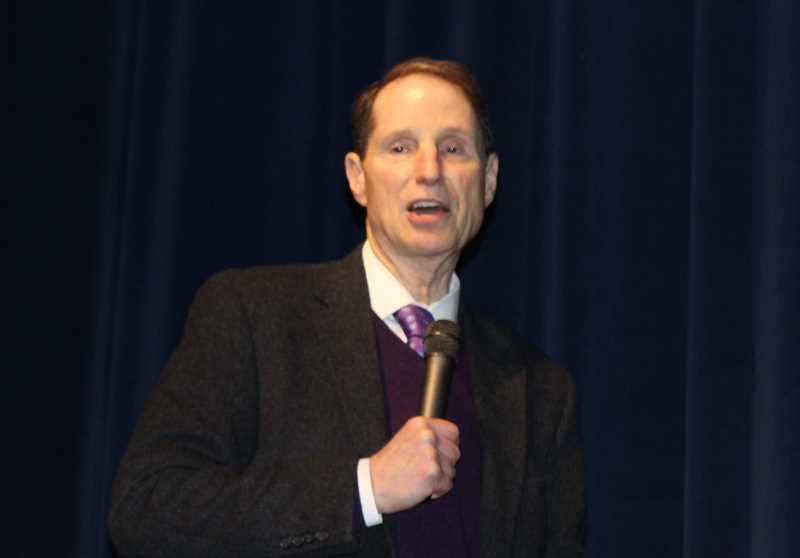 "I have spent my time in Congress leading the charge to protect communities throughout Oregon from wildfire risk," said Wyden, senior member of the Energy and Natural Resources Committee. "I welcome ideas from both sides of the aisle and Crooked River Ranch residents on finding a solution that tackles the overwhelming and growing risk of wildfires facing this community and Oregonians who visit to enjoy recreational opportunities there." The Crooked River Ranch Fire Protection Act would adjust and decrease a wilderness study area near existing homes in a fire-prone area. The bill in its current form takes a limited approach to tackling the risk of wildfires, setting a precedent to thwart future collaboration with local stakeholders and community leaders in the ongoing effort to address the threat of wildfires. Earlier this year, Wyden secured a provision in a government spending bill, which would end fire borrowing and allow federal agencies to better plan for wildfire seasons and devote the resources necessary to combat them. Earlier this month, he joined federal officials to announce a new plan he requested for the Forest Service to address the hazardous fuels backlog contributing to devastating wildfires throughout Oregon and the West.